Not finding what you need at the moment you need it creates frustration. In that frustration we become caught up with our emotions, neurotic impulses and endless worrying and thinking. We become insensitive and numb and the numbness creates tiredness. Not just the normal physical tiredness but “cold tiredness” which freezes the movement and flow of your life. You become fatigued and exhausted by existence and you refuse try or strive. You become habitually insecure. we will practise a couple of kriyas to eliminate your tension and stress, creating a resonance in the body so we can attract what we seek. How should we relate to our bodies and how does this relationship affect our sense of self, self esteem and health? What experiences, beliefs and habits about our bodies do we acquire through our life cycles? When we can answer these questions we can also see how our body image affects our emotions, behaviour and how we relate to our partners, friends and family. During adolescence into adulthood suddenly we are confronted by the physical changes in our body, our new found sexuality and how the world perceives our body image. We all form a body image during this period. This is formed not only by the physical sensations of our body and how it looks, but it is heavily influenced by perceptions, the media and our emotions. Our body image is not static, it is a perception of the size, shape, boundaries and emotions evoked by that perception. For example on a good day we may like the way our legs look but on a day we are feeling down we can fixate on how fat the same legs look. This is all a mental perception, your leg shape would not have altered in one day. In yoga we focus on a healthy, reality-based body concept. We emphasis a postive body image and constructive habits to promote feelings of physical happiness and wellness. We try to understand where any negtive perceptions of the body have come from. Because if our bodies sense of self is distorted, negative and unreal there are many unwanted consequences. Our inner experiene of our physical body, health, sensations, movements. Our outer experiene of the body comes from the third person point of view, ie what our friends, family, culture and the media say about our body image. For young women, the image is largely dependant on their mothers and fathers, they will take on the one which is most negative about body image. This may distort their sense of self, they may over eat to numb or protect themselves from life. Young men can be affected by overly protective mothers or overly aggressive fathers. This may distort their body image greatly, so they feel they need to put on extra muscle to protect themselves from life. For women especially negative feelings about their body image are supported by western culture, mass and social media. A young women’s subconscious is deeply imprinted by unrealistic images of what a desireable women’s body should look like. We are told that if we do not look like a model in Cosmopolitan then we will not be attractive to men. The imprint on our adolescent mind at this stage of our development cannot should not be undersestimated. It is at this time when we most want to be socially accepted, which affects our biology, motivation and emotions. During yoga we reset the body image, by renewing a positive relationship with the self. We do asanas to feel the strength, flexibility and sensations in our body. This mindful movement, experience of feeling our internal energy, being part of a group or community and accepted as you are, grounds a positive self and helps align our body image with our current reality. Notice when you eat your next meal, do you chat with people, read, look at your phone or watch T.V? This demoting habit is about distraction and reward. If you do this you will tend to eat your food unconsciously, eat too fast and then not notice when you are full so over eat. Try instead to spend a few seconds looking at your food before you eat it. When you start eating concentrate on every bite, chew, enjoy the sensations and flavours. Notice when your body feels full. Your mind will never be full, it will always want more because your mind does not have a body. Notice when you exercise, are you unconscious? Watching T.V to distract you from the physical sensations of your body? If you do this you may tend to strain your muscles, over or under exercise, not feel physically, mentally satisfied after exercising. Once again just like in a yoga practice, try to stay present and focussed as you exercise and see the difference. Get rid of your expectations of what this exercise will make you look like and enjoy the benefits of regularly physical movement and the sensation of wellness it brings to your being. Fri 26 August 6.30-9pm Community Class & Celebrate Yogi Bhajan’s Birthday, Gong and Kundalini Meditation @ the Om Space, 185/9 Havelock Road (by Donation) bring some food to share for the pot luck party afterwards. Having watched Yogi Bhajan’s teaching on YouTube LA889, I thought it would be fun and also useful to disseminate some of his practical yogic wisdom to you in his words. 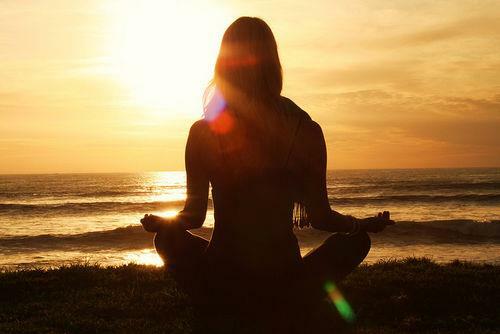 Try some or all of these tips for good health because this is what yoga is really about. Yogi Ji says, “Yoga is great because it can help us cure sickness, depression, it can help you with weight problems, it can help you in your daily life, it teaches you daily involvement with your body and mind. I especially like Kundalini Yoga because it is short and effective and it is for house holders. You do not have to remain celibate. It is a very human yoga”. Food and how to eat? “The best alternative medicine is good food and daily naps. Food is your insurance for health. Eat little and drink little every 2.5 hours. We must chew our food. The main diseases start when food goes into your body, unchewed which is unsweetened by our saliva. We must train ourselves to chew.” Chew each mouthful at least 35 times. You will have less gas, your food will give you more nutrition and you will feel full and satisfied with much less food. If possible eat in peace and quiet, concentrating on chewing your food and tasting the flavour. “Just like a cold car that needs to be warmed up before you put it into gear. The body is the same, it is at rest at night and needs to slowly be stimulated before it starts going. So do not just jump out of bed if you want to remain healthy. There are things to do in the morning every day. It is your body which is asking for mercy, kindness and compassion and care. All you need is a good vital and healthy body to give you enough strength to face the day. When you wake up to prevent back pain you need to do cat stretch 3 times on each side and then adjust your navel energy by doing stretch pose. Then move the feet up and down to adjust the meridian points in the whole body.” Now get out of bed and have a cold shower (see Ishnaan). “Technically it is called mercy. You do not have any mercy for yourself, you look after your car, or your house but you do not look after yourself. You need to go into the shower and massage yourself all over balancing your hydro level in the water, which is required. Stand one foot on top of the other and massage them, massage the inside of your forearm, underneath your armpits and your chest. Vigorously massage your whole body. Now dry your body by rubbing hard with a course towel until your skin is pink to increase blood circulation in your skin, so your skin will remain youthful. You do not drink enough water in the day. You need to urinate properly. When you begin to urinate you need to stop and start, several times. This will exercise the muscles of your pelvic floor and keep them strong. This is like mulbhand. Stand up on your toes and sit down a few times, this will stop you having problems with knees and ankles. SIT. Easy Position (legs folded). EYES. Closed, rolled to 3rd eye (brow) point. MUDRA (HANDS). Place arms across the chest and lock hands under armpits, with palms open against the body. Raise the shoulders up tightly against the earlobes without cramping the neck. Pull chin into neck. BREATH. Automatic, natural and slow (or count for five in, five out, until it slows). TIME. 3 to 11 minutes. YOGI BHAJAN COMMENTS. This meditation is called Sunia(n) Antar. It is very good for women. It is essential at times when one is worried or upset and doesn’t know what to do, or when one feels like screaming, yelling, and misbehaving. When out of focus or emotional, attention should be given to the body’s water balance and breath rate. Humans are approximately 70 percent water, and behavior depends upon the relation of water and earth, air and ether. Breath, representing air and ether, is the rhythm of life. Normally we breathe 15 times a minute, but when we are able to rhythmically slow down the breath to only 4 breaths per minute, we have indirect control over our minds. This control eliminates obnoxious behavior, promoting a calm mind regardless of the state of affairs. When there is a water imbalance in the system, and the kidneys are under pressure, it can cause worry and upset. Drinking water, pulling the shoulders up to the ears and tightly locking the entire upper area creates a solid brake that can be applied to the four sides of the brain. After 2 or 3 minutes, thoughts will still be there, but one does not feel them. This is a very effective method of balancing the functional brain. 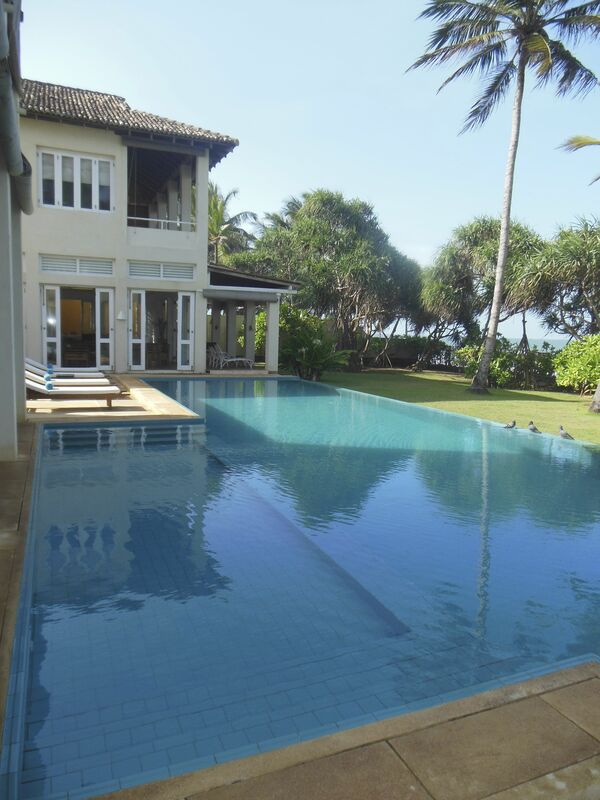 Sri Villas is a set of 3 luxurious houses all connected by an infinity pool, with a 180 degree view of the sea. The sea is so close that the sound sends you into a deep rejuvenative sleep. Each villa has luxury rooms decorated with a simple but elegant hand, well designed bathrooms and plenty of space to lounge around in between yoga and eating sessions. Sri Villas gives you the space to just ‘be’ and enjoy the essence which is you. We indulged in a sea bath each day. 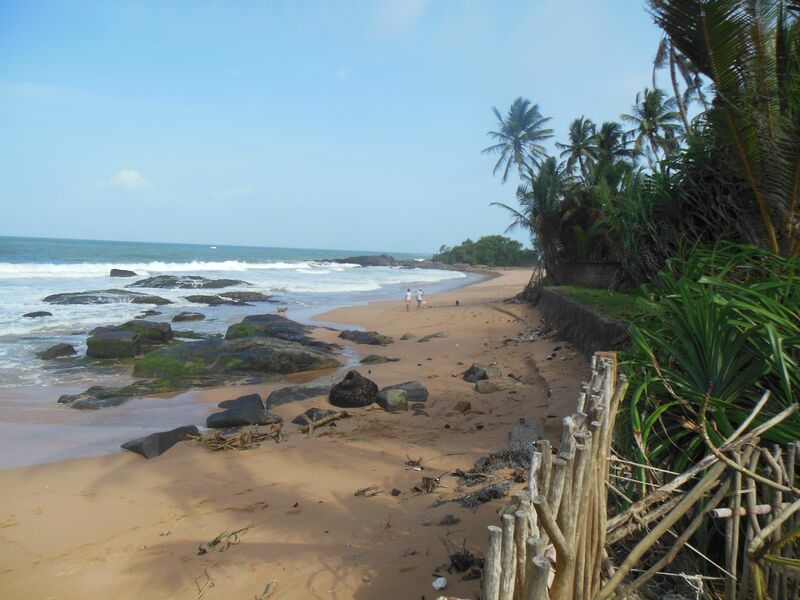 Even though it is the monsoon season, it was just glorious to jump into the waves to have some sun and fun. During the Retreat we delved deep into our minds to teach us emotional intelligence. 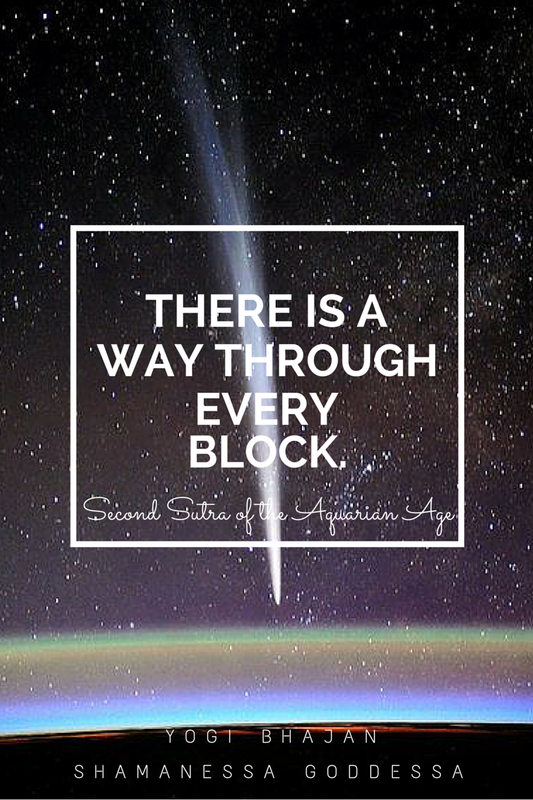 Fiona began the work by teaching a very physical kriya to rid us of our body blocks. Ending the session with writing down our negative mind patterns and learned how to, ‘not react’ or ‘act out’ these emotions but release them through our breath and mentally acknowledge and acceptance that these patterns are a part of us. Fiona, Shaunagh and Annoushka followed this theme during the next 5 classes. Linking the right and left hemispheres of the brain so we could be more conscious of our mind and its held beliefs and patterns. During the morning sesions we experienced long, deep meditations to practice being present and conscious of those thoughts and patterns. The teachers encouraged all to end the day writing a personal daily journal of ‘how we were feeling and coping with our thoughts and emotions’. We experienced the negative, positive and neutral minds. Learning how to feel the discomfort and embrace it to gain release. The final class lead by Annoushka concluded the retreat by doing a deep practice to experience the elementary self, the watcher in us all which is all seeing, completely connected and joyful. Watching the genuine joy of everyone’s faces at the dancing at the end was huge pleasure for all who took part, teachers and students alike. 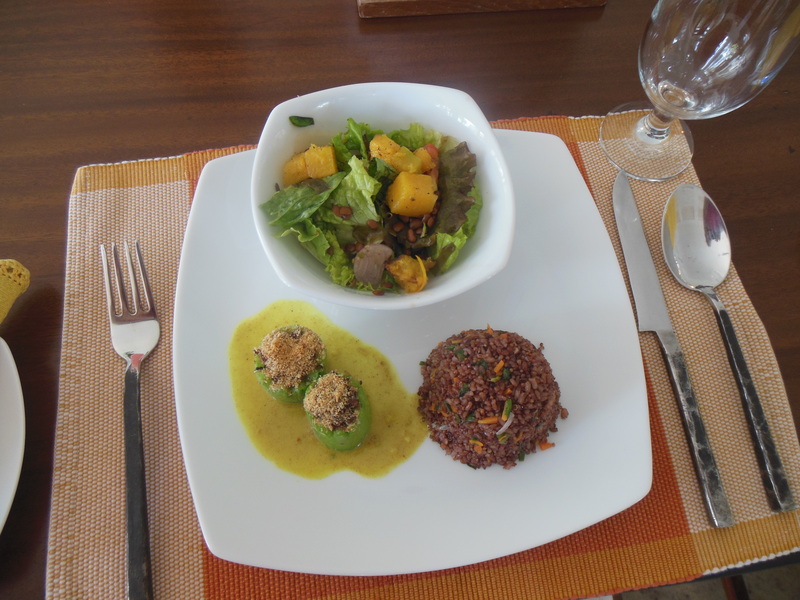 Yummy avocado salads with orange vinaigrette, butternut squash stuffed with herbs and organic red rice, tomato salsa and roast beetroot, with a curd dressing were all gobbled up. The diet was lovely fresh, healthy, plant based foods to support our emotional detox all lovingly made with an expert hand. 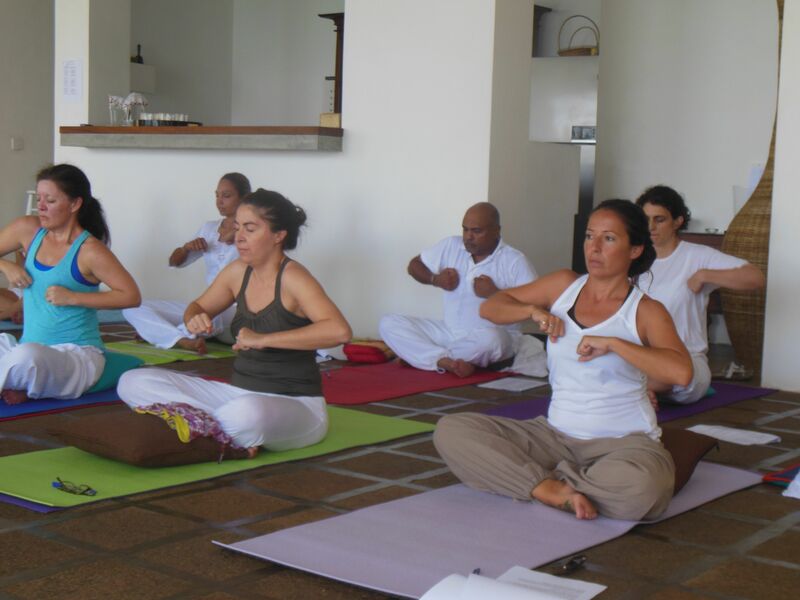 Find out more about all Sanasuma’s events and classes taking place in Colombo and outside. Watch out of our International teachers coming to Sri Lanka. 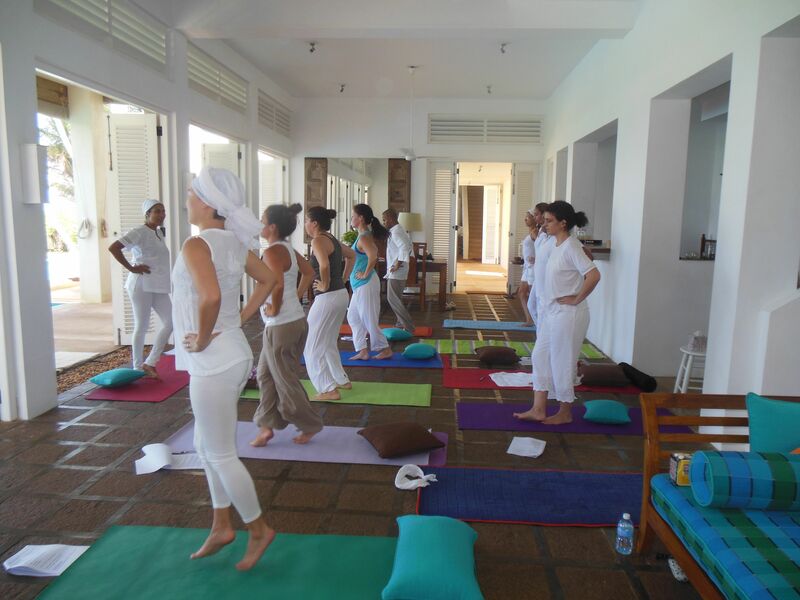 Join our blog and facebook following as we grow our Kundalini Community in Sri Lanka. (please become our friend and press the like button). On this retreat will give you the opportunity to give yourself the time to know your shadow and understand negative emotions. We are not taught how to manage our emotions. We subconsciously wish to deny, hide or ignore them or unconsciously respond in a knee jerk reaction. Through Kundalini Yoga and meditation, we can learn techniques to recognise, accept, forgive and release these negative feelings and thoughts, instead of being driven unconsciously by them. Turn overwhelming feelings and being over sensitive into being able to read a situation and know how to act. 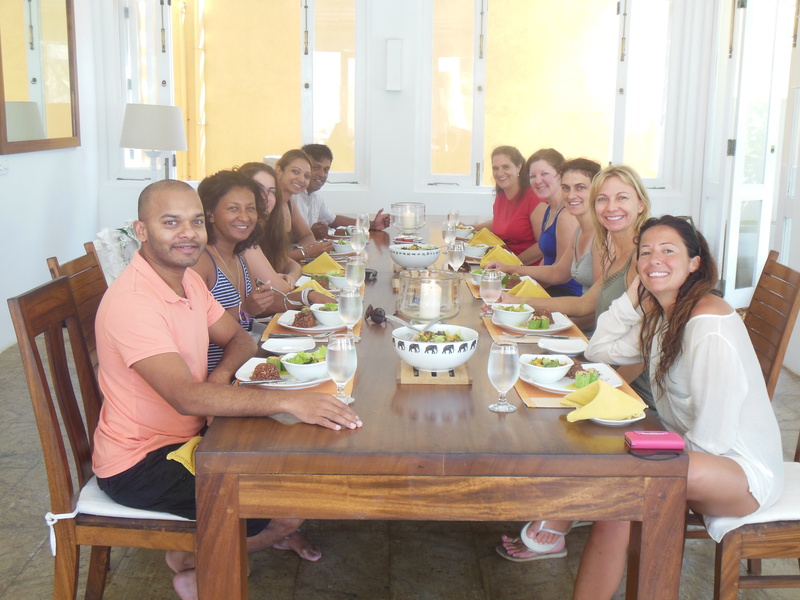 Our program consists of sunset and sunrise daily Kundalini Yoga and meditation classes taught by three different teachers, Annoushka, Fiona and Shaunagh. A Combined with conscious eating and relaxation. Set by the ocean, Sri Villas is a boutique hotel with luxurious en-suite rooms, an open air pool and beautiful spaces to relax in please see http://www.srivillas.com. 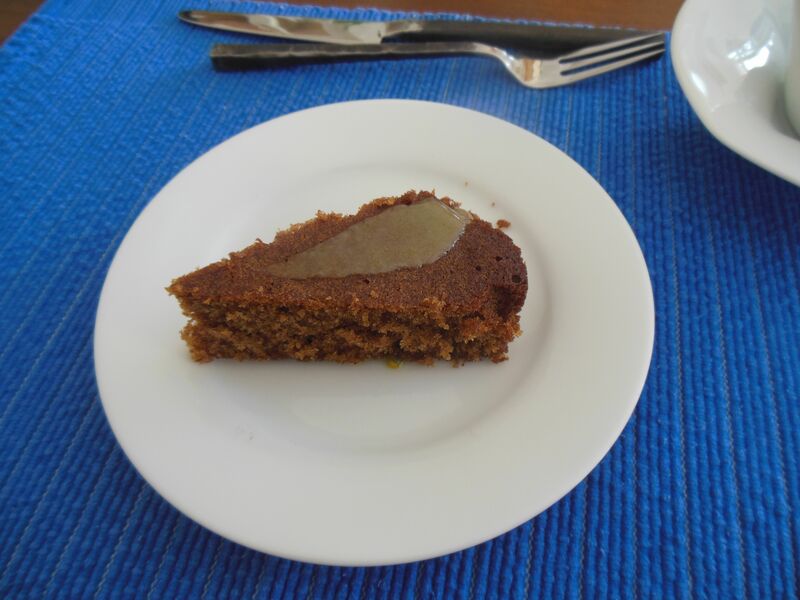 Included in the price is all your healthy vegetarian food and drink which will combine with our program to support your emotional release. Price for retreat Rs19,000 for 2 nights, 3 days, full board, teachings and en-suite accommodation 2 sharing. Sri Villas is only one and half hours away from Colombo and we will start on Thursday 19 September which is a Poya day and end on Saturday 21st September afternoon around 4pm. In order to understand and be the master of our emotions we have to understand we all experience negative thoughts and emotions and we all have 3 minds. The three minds are the primary way the mind processes thoughts and makes decisions. Whether consciously or driven blindly by the unconscious. · The third mind is the neutral mind. However sometimes the 3 minds can be out of balance, this is when we experience depression, confusion and being unable to solve our problems. The more you can become aware of the process of the negative mind and integrate the observer into the process the more you can deal with your negativity and emotions. 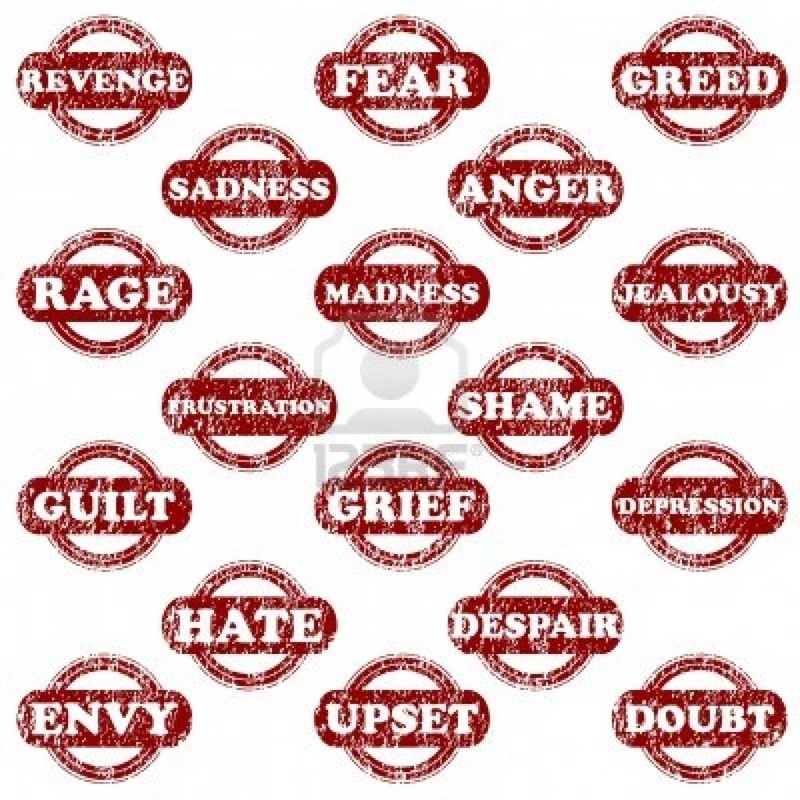 When we understand that our emotions of anger, fear, jealousy, bitterness all have a function in our lives, we can then start to accept these qualities of emotions in us and the people around us. This does not mean we have to act them out but just be aware of them within our minds and bodies and learn how to release them. Human evolution means our negative minds are too strong for us in this day and age, where we no longer have to worry about the basic survival needs, of food, shelter and safety. Therefore we must learn to be conscious of our negative thought patterns. Acceptance of some of the least admirable aspects of oneself is the beginning of the process of shedding the barriers created by our shadow self and development of kindness, caring and compassion. Learning to accept the sacred origins of both your protective negative mind and hope-filled positive mind allows the neutral mind effortlessly to appear. The neutral mind is the most elusive, yet most powerful of the three. It is the mind that allows us to “see the faults of others and then un-see them.” It is the mind that gives us the vision to see the diagonal solution in every problem. It is the mind that allows us to drop our small experience of self and replace it with the vast acceptance of the Infinite variety so exquisitely expressed at every level in nature. The neutral mind is cultivated from meditation, practicing consciousness and being present. It is also developed by our ability to drop all addiction to the positive/negative mind dance of duality, comprised of endless conversations, dramas, arguments and battles, between different opinions of what is good or bad. The neutral mind reminds us about the reality of now and acceptance of what is. 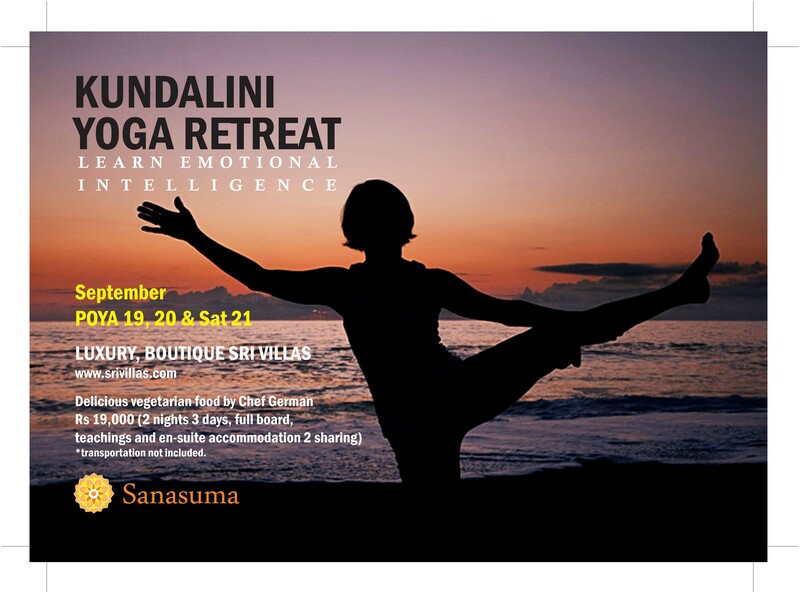 Come to our Sri Villas Retreat to have the practical experience of understanding and coping with your negative mind and emotions. There is a vibratory frequency that corresponds to everything in the Universe. Happiness or sorrow, joy or regret are vibratory frequencies in the mind. When we chant a mantra we are choosing to invoke the positive power contained in those particular syllables. Whether it’s for prosperity, peace of mind, increasing intuition, or any other possible benefits inherent in mantras, simply by chanting them we are setting vibrations into motion that shall have an effect. It doesn’t actually matter if we understand the meaning of the sounds or not. Chanting mantra produces specific vibratory frequency within the body. The vibratory frequency of a mantra draws to you whatever you are vibrating. You are like a magnet attracting vibrations to you by what you send out. As a vibration, a mood, a state of being that results from chanting, mantra is compatible with all belief systems. 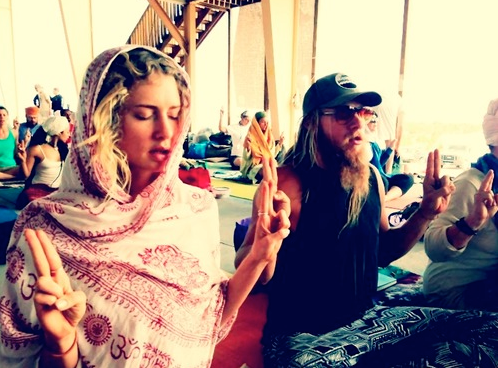 Chanting is an amazing and powerful part of the practice of Kundalini Yoga. When we sing or repeat mantras, we call the heavens down to the Earth. The heavens begin to manifest in our own hearts. That is why chanting makes people feel so good, even if they do not understand the meaning of the words. What is so truly amazing about sound, mantra, and chanting is that each one of us holds this power of transformation within us. We don’t have to go to a place or to another person to access this power. Our very own body is the instrument of transformation. When you chant listen to the sound your voice makes and how it sounds in your body. Posture: Sitting quietly, eyes closed and focused gently at the brow point. Focus: Listen deeply. Isolate and identify each sound that you hear. If, for example, a car passes outside, mentally identify the sound by stating “a car is passing outside”… “I can hear the hissing of water underneath the tires”. Then move on to the next sound…a fly buzzing, the sound of your breath through your nostrils as you inhale and exhale, the sound of someone clearing their throat. If you feel that you have identified every sound possible, continue isolating every sound that strikes your ears, even if you have already identified it once. Break it down into its subtle parts. Listen to the sounds within the sounds, the sounds within you, the sounds near to you, and the sounds very far away. Allow every sound. Some sounds may seem unpleasant. Listen to them anyway. You may find that you tend to block certain sounds. Turn your awareness to those sounds, open up your listening ears and listen to them as well. If you find that your mind starts to wander, simply return to deeply listening. Time: Continue isolating and identifying every sound for 3 to 11 minutes.